Rose Martin is a content editor at Home Build company that is a China Scissors Manufacturer. Pens and pencils are part of your child's daily routine. Whether it's homework, doing a crossword or making their latest drawing using coloring pencils, your child can never have too many pencil holders to store their ever growing store of pens. 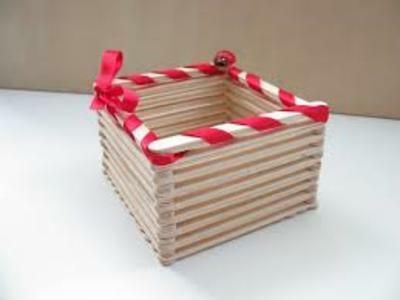 What better way to create a pencil holder than by using popsicle sticks which would otherwise have been thrown out? Summer is a time for eating ice creams and we never give a second thought to the extra sticks that go in the trash, not realizing that we could upcycle them into miniature pieces of art. Here is a fun way to make your own pencil holder and is an activity which kids are sure to want to take part in. Wood glue or craft glue. Avoid using a craft glue gun as this can become messy and is not the best tool to have around younger children. Cut the paper into a square, this will decide the size of the pencil holder. 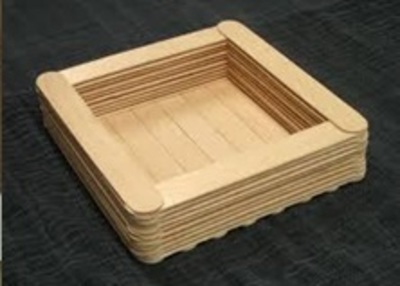 The shape should be big enough to allow you to layer the Popsicle sticks on top of it. A suggested size would be approximately 5 inches by 6 inches. Place the sticks one next to the other all over the paper. This will form the base of the pen holder. If, even after you place all the sticks on the base, any paper is showing through at the edges, simply trim with scissors. For this step, adult supervision will be required, especially for younger children. Glue each of the sticks that you placed on the base. Make sure you don't use too much glue as this will make the paper soggy, resulting in a weak base. Now that your base is ready, it's time to move onto the sides. Glue a layer of sticks on the perimeter of your base. This is where you will start to stack more sticks in the next steps. Glue on more sticks on top of the perimeter. Make sure it's an even stack vertically and that the holder is not be slanting or tilting to one side. The higher you want the pen holder to be, the more sticks that will be required. Again, make sure not to use too much glue on each layer as this will weaken the structure. Let the pen holder dry for an hour at least. Now that your pen holder structure is complete, you can go ahead and decorate it to give it a more personal touch. 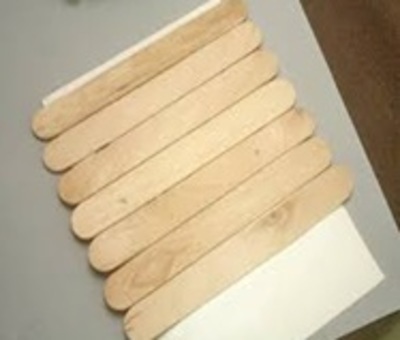 If you want the pen holder to be colored then paint the Popsicle sticks before you stack them. Let them dry completely before beginning the stacking process. If you do decide to use painted Popsicle sticks to decorate, you can get very creative. Each side of the pen holder could be painted a different color, or the sides could be in a contrasting color to the inner base. The possibilities are endless. If you are aiming for something with a bit of sparkle, try placing some stick-on jewels on the topmost layer or sprinkle some glitter on the top edges, or even on the inner part of the base. For a more vintage and whimsical touch, string through a ribbon on the top most layer for a subtle hint of color. Feathers are an even more flamboyant way to personalize your pen holder and can be glued onto the outer sides of the holder. The important point to remember when adding embellishments is to have fun and unleash your creative side!